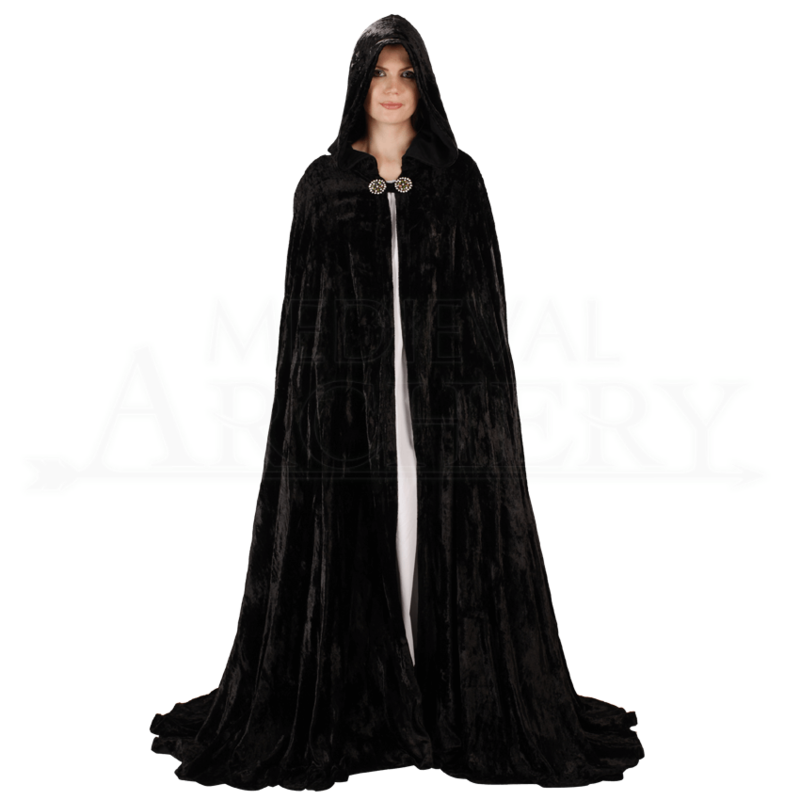 The Midnight Fantasy Cloak is a full length and full circle velvet cloak with a generous hood. A unique hook and loop mechanism ensures easy wearing and quick front closure. The Midnight Fantasy Cloak comes in a variety of colors, and one size fits most. 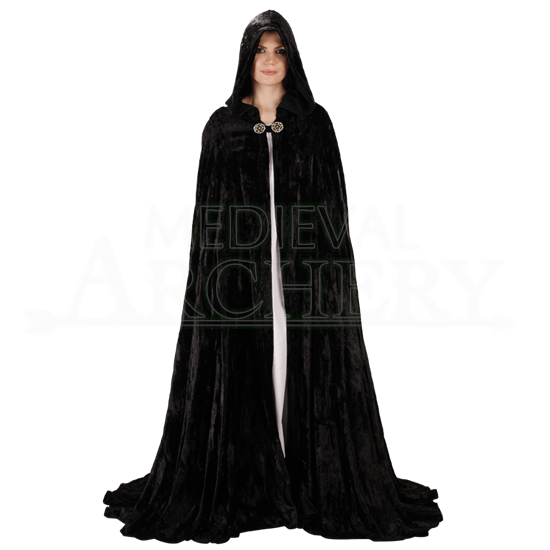 The Midnight Fantasy Cloak would make a perfect addition for any Renaissance or Medieval outfit. Cloaks have been seen throughout history from medieval times to today. The cloak has existed to protect people from the weather and keep them very warm. Fantasy cloaks were believed to be magical, granting the wearer invisibility.